I am so glad that at the beginning of this year I decided to start my “Davine Time” each day. It also helped so much that I put it out there as it makes me accountable to actually do something for myself, no matter how small. While having my “Far North Queensland” sojourn I learnt a lot of new things and realized that I enjoyed the feeling of learning something new. So I have decided to add another daily ritual for me. I am going to make a concerted effort to learn something new every day. It may be as small as the meaning of a new word or as big as …. I don’t know because I don’t know it yet!! So for my 1st instalment, here is the beginning of my learning process. When my son was 2 years old he was struck down with the life threatening illness “Epiglottitis”. Epiglottitis is a medical emergency that may result in death if not treated quickly. The epiglottis is a flap of tissue that sits at the base of the tongue that keeps food from going into the windpipe. When it gets infected and inflamed, it can obstruct, or close off, the windpipe, which may be fatal unless promptly treated. We rushed him to the Royal Children’s Hospital and thanks to the amazing medical team I still have thin now beautiful man in my life. So now here's what I have learnt today: Epiglottitis was first described in the 18th century but was first accurately defined by Le Mierre in 1936. 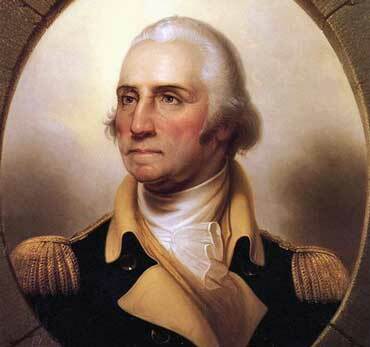 In fact, although George Washington's death in 1796 was attributed to quinsy, it was actually due to epiglottitis. “Davine Time” update: I have been trying to eat a little healthier but today I really felt like a packet of chips, so I had a packet and really enjoyed them.